Of course they are. 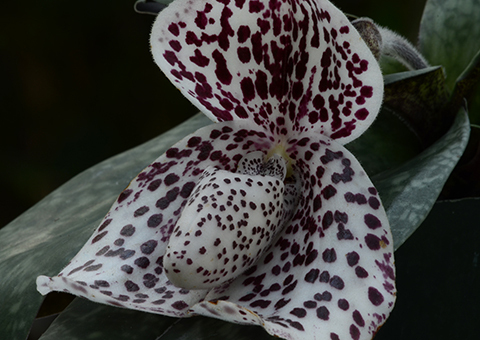 The slipper orchids in the Fuqua Orchid Center were rocking the dots weeks before polka dots made a big splash at September Fashion Week in New York. Paphiopedilum bellatulum (top) scores extra points with us for having gorgeous spotted flowers and leaves. We love the downy texture of the flowers and flower spike. It grows natively in the crevices of limestone outcrops in Myanmar, Thailand and southwest China. 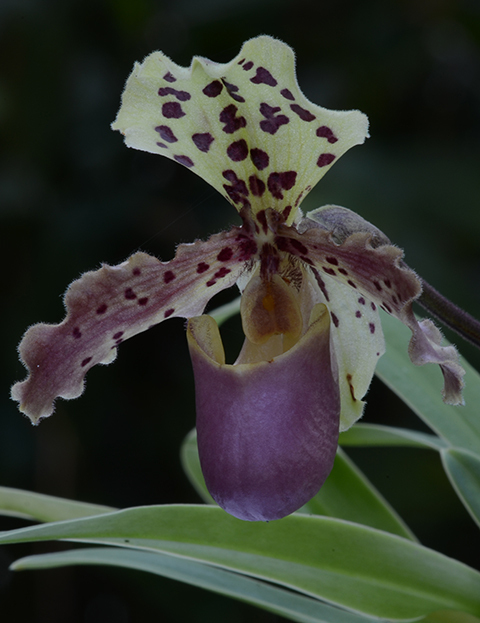 Autumn is a great time to see a cool-weather flush of flowers on the slipper orchids (with and without spots) in the Orchid Display House and the Tropical High Elevation House.